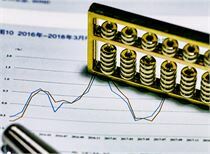 Fang Xinghai, vice chairman of the China Securities Regulatory Commission, said yesterday that the CSRC is rapidly in the process of instigating the requirements of the General Secretary of the General Secretary of the People’s Republic of China to set up a science and technology board and a pilot registration system on the Shanghai Stock Exchange to provide a good capital market environment for the growth of innovative enterprises. 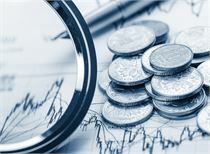 Provide more high-growth listed companies with investment value to the capital market. Fang Xinghai made the above remarks during a speech at the "5th World Internet Conference Financial Capital and Internet Technology Innovation Forum". The first is to deepen reform and promote the function of the capital market.The CSRC will maintain the normal issuance of new shares, reform and improve the stock issuance system with information disclosure as the core, and further improve the predictability of listing and listing of enterprises; deepen the market-oriented reform of mergers and acquisitions, encourage and support listed companies to rely on mergers and acquisitions to refine Stronger, on the basis of the “small-volume” review mechanism, the “division system” audit will be implemented according to the industry, and it will be applied in the high-tech industry. On the basis of the successful pilot, the H-shares will be fully launched as soon as possible. The conditional H-share companies can apply for full circulation to facilitate the overseas listing of innovative domestic enterprises. 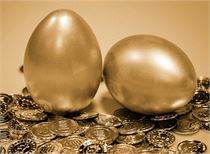 The second is to expand openness and continuously introduce long-term overseas funds and institutional investors.The CSRC will do a good job in the follow-up of A-shares into MSCI and the FTSE Russell Index, continue to improve cross-border trading arrangements, optimize the exchange interconnection mechanism, respond to the concerns of foreign investors in a timely manner, and facilitate the expansion of A-share allocations by long-term overseas funds. At the same time, we strongly support foreign-invested securities and futures institutions to establish legal entities in China and engage in asset management business. 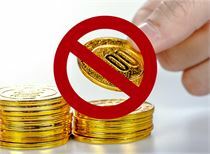 The third is to strengthen supervision and create a good market order and financing environment.Fang Xinghai said that the CSRC will strengthen supervision over corporate IPOs, refinancing, mergers and acquisitions, and bond issuance, and enhance the guidance and binding force of the securities market for corporate finance. At the same time, it will continue to crack down on illegal and illegal acts such as fraudulent issuance, false information disclosure, insider trading and market manipulation, maintain a fair market trading order, and protect the legitimate rights and interests of investors. Fang Xinghai introduced that the CSRC has started to work on four aspects in a recent period to promote the innovation and development of Internet companies. First, focusing on the coordinated development of the capital market and the network letter business, the CSRC and the Central Network Information Office have established a work coordination mechanism to study new situations and new problems in the network market of the network letter enterprises, and promote the capital market reform policy in the field of network information. Try first. 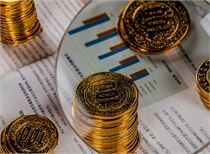 The second is to promote the capital market to support high-tech enterprises such as the Internet to become stronger and better, to issue equity financing tools for innovative enterprises and to create a more flexible and compatible policy environment for listing in China. Third, we will firmly promote the construction of a multi-level capital market system. 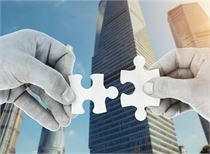 The Main Board GEM will maintain the normalization of new share issuance, increase financing support for enterprises, and continue to promote market-oriented reform of mergers and acquisitions. The fourth is to support enterprises to use the overseas market to grow and develop. The Shanghai index fell more than 4% and lost 3,000 points. The two cities exceeded 200 stocks, and the brokerage stocks fell. Institutional market: What is the meaning of the Shanghai Stock Index's "decapitation" Yinxian? Rarely watching the air! Huatai Securities gave CITIC Jiantou a sell rating China People's Insurance China CITIC Jiantou opened the down limit The bearish CITIC Huatai also plummeted! The A-share phenomenon has also come: the bigger the loss, the higher the stock price. The bull stocks are almost all small and medium-cap stocks. Shanghai Stock Exchange: There were 28 abnormal trading transactions in Shanghai and Shanghai this week. The Shanghai stock index fell sharply on the GEM, and the domestic chip concept stocks rose and stopped. Guangzhou Bandung: The day shifts to pass important signals. This plate is a safe haven. There is still a drop in the shock warehouse! How to interpret Friday's ruin? So crazy to kill and dare to get on the bus? Midday Quick Review: Will the main team bury themselves? After the plunge, what should we do next week? How to face after the rebound? [War of warships] Is the plunge the beginning of adjustment or is it in one step? Where is the hope of the bulls after the plunge? Nearly stagnant! In the United States, non-agricultural income increased by 20,000 in February, hitting a new low in 17 months. A-shares smashed low-priced stocks, whirlwinds, and rushed into the market to sweep goods. Two research reports made the market flash, and A shares are strong and dry? [The brain is so faint] How to correctly interpret the first bearish research report in the history of A-shares? 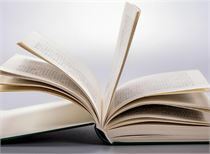 What is hidden behind the information? The performance of the brokerage sector and the stock price are flying together. Why is the bull market always inseparable from the brokerage? [12W wealth coin] GEM dominates the hot search list, looking for Jiancang Daren! [Forex] Unexpectedly cold non-agricultural will scare the dollar long? Will the eggs take off with the pork? The property market is "stable"
Pulp futures "Hundred Days Banquet"
Why is the dollar always resilient? The bond market is "warm and cold"
The battle for talents affects the property market?